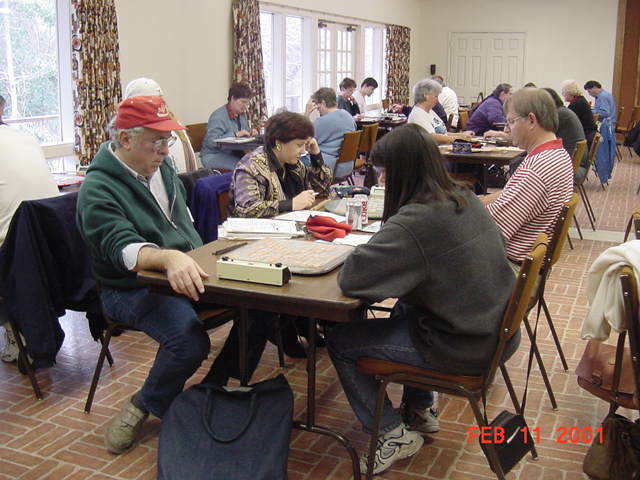 Tournament area with Caesar (3rd from left) and Jonn (5th from left) in the background. 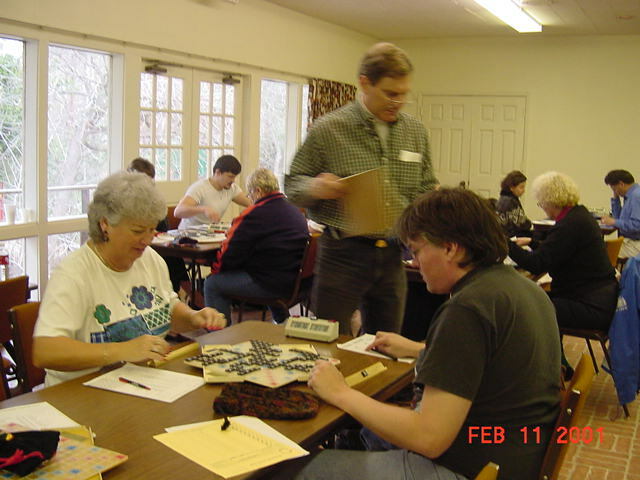 In the foreground Luke Glusco (division 3 first place) plays Clay Daniel. 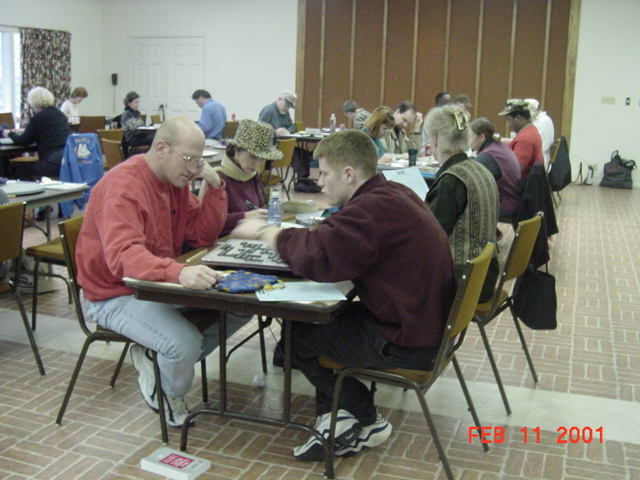 Tournament area with Clay (left) and Caesar (right) in the background. In the foreground director Jim Barrett verifies a challenged play for Marion Wooten and Kyle Bozeman. Bruce Shuman, division 3 third place, plays Austin's Reena Singhal in round 7.